DescriptionAdd some festive sparkle to your Christmas table with this mixed pack of snowflake confetti and table diamonds. This 28g pack of confetti will add a stunning touch to your table settings and can be co-ordinated with other items in the ‘Shimmering Snowflake’ range. 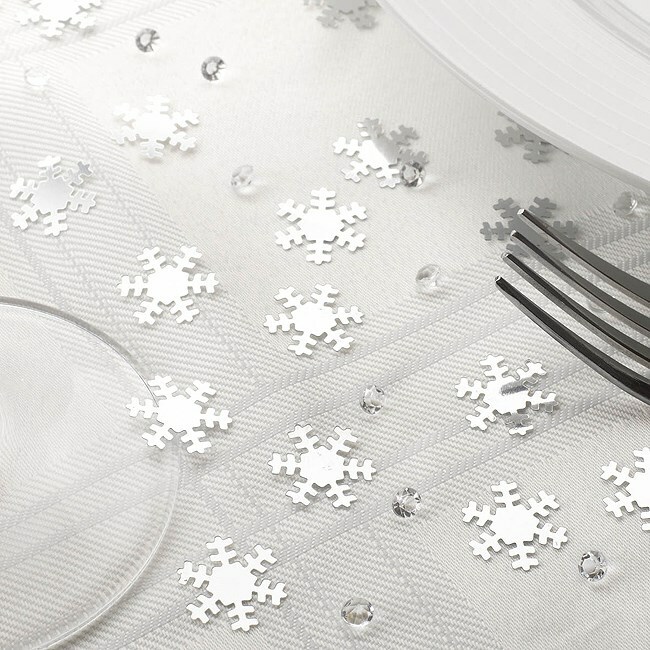 Add some festive sparkle to your Christmas table with this mixed pack of snowflake confetti and table diamonds. This 28g pack of confetti will add a stunning touch to your table settings and can be co-ordinated with other items in the ‘Shimmering Snowflake’ range.